Apple has begun sending invitation to a new media event, which will take place on Monday, March 9th, at the Yerba Buena Center for the Arts in San Francisco. It is currently unclear what device the guys from Cupertino will unveil. Many things point to the announcement of the Apple Watch, however, Apple remains silent and gives no comments on the issue. The company may announce the long-anticipated 12-inch MacBook Air or slightly refreshed 11-inch and 13-inch MacBook Airs as well. All we know for sure is that the event highlighted “Spring Forward” will start at 10 a.m. Pacific Time and that Apple will offer a live stream of the media event. Here’s what MacRumors reporters write about the upcoming media event. To be honest, I think these people are right. 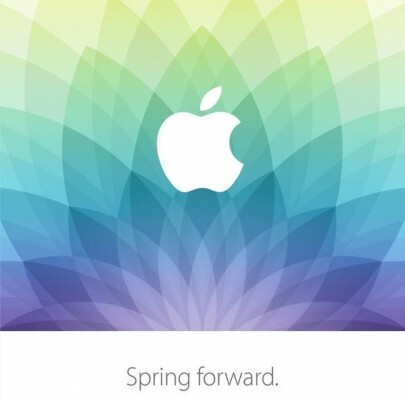 The event's "Spring Forward" tagline is decidedly time related and March 9 falls one day after the start of Daylight Saving Time in the United States, suggesting the Apple Watch may be the focal point. Apart from the live broadcast of the “Spring Forward” event at Apple’s official website, we’ll try to provide a live coverage of the event as well. Immediately after the presentation you’ll get an opportunity to take a first close look at the new Apple device or devices, so stay tuned for more updates on the topic.